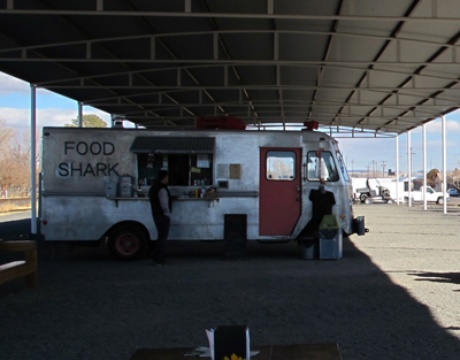 Marfa is a desolate little town in Big Bend Country — the middle of the Texan desert. The minimalism, and the silence that accompanies it, has also made it a thriving contemporary arts community. It's here that Donald Judd installed huge, gleaming, conceptual concrete pieces on the side of the road. And it's where, even more curiously, a conceptual Prada store lives in a one-room adobe building. 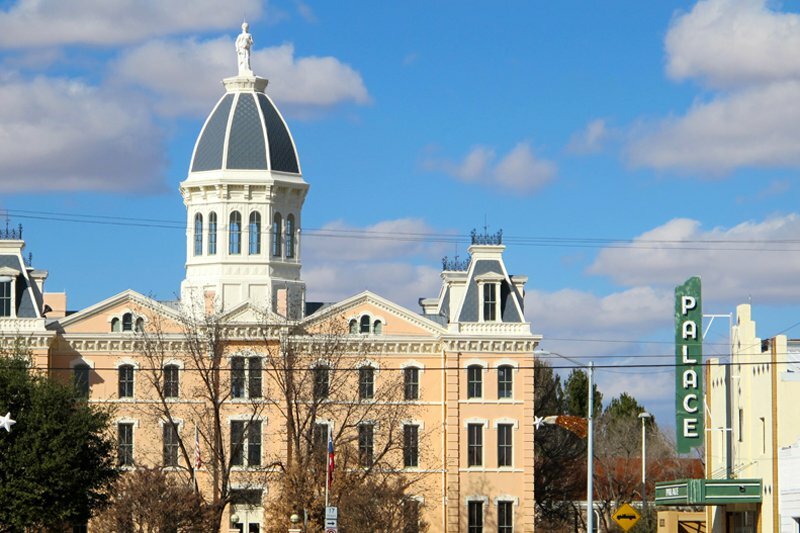 There are a few distinct populations: those that arrived within the past ten years (bearded, vintage-wearing types from Austin and Portland and Brooklyn), old-timers whose families have ties to Marfa's days as a cattle boomtown, and the Mexican-Americans prevalent throughout the Southwest portion of this country. It's an interesting mix, considering the town has just over 2,000 residents. : Added to the National Trust for Historic Preservation, this is the swankiest hotel in town. Ask for a room overlooking the courtyard with its bubbling fountain. The cast and crew of Giant stayed here, and the hotel has a lot of memorabilia from its production. : Renovated and reopened in 2005, the Thunderbird is sleek and contemporary while maintaining the original feel of a roadside motel. There's a small swimming pool for guests, and you can borrow vinyl records and a record player from the office. : A converted 1974 food truck that serves gourmet specials (go early, the specials sell out) as well as its renowned version of falafel, called Marfalafel. Parked in the Shade Pavilion in the middle of town, open Tuesday through Friday, 11:30 a.m.-3 p.m.
: The Rooster's two chefs were colleagues at the five-star/five-diamond Inn at Little Washington in Virginia. Dinners are wonderful and reasonably priced, mixing traditional Southern fare with tastes from India — and it totally works. : One of the oldest restaurants in town, Mando's is low on décor but alive with locals. Excellent, inexpensive burgers and Tex-Mex. : Mostly Italian with some regional meat dishes thrown in. It has a nice bar, but the food was not stellar. Expect to pay Manhattan prices. : After a certain hour, this is the only bar. The back room has great shuffleboard, air hockey, and pool tables. Put some dollars in the jukebox and select your favorite Texas troubadour. Also doubles as a live venue for many touring acts. : Open by guided tour only. Three different tours are available Wednesday through Sunday. The longest covers the entire collection and takes a whole day with a two-hour lunch break. The museum also presents one or two special, temporary exhibits annually. : We won't go into detail here - but The Marfa Lights are a major attraction attributed to either a paranormal phenomenon or atmospheric reflections of light. You can decide for yourself, but they only appear at night. There is a viewing platform several miles east of the city on Route 67.
: Only 90 minutes from Marfa. Expect rolling deserts, beautiful canyons, and savage mountains. : Vintage cowboy boots, Mexican textiles, and other souvenirs before the trip home. : A local hangout with a huge selection of regional books, an impressive collection of poetry, and loads of instore events. 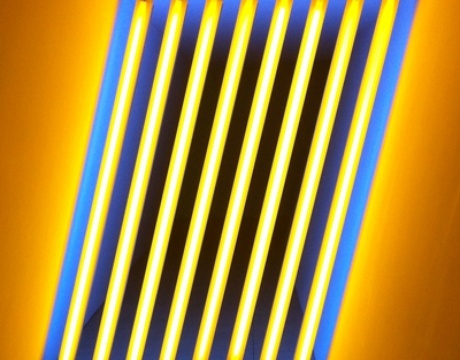 The sweeping installations of Minimalist artist Donald Judd, and a look at Marfa from a transplant's perspective. The author recounts a packed visit to the spare town. An artful mini guide focusing on the latest openings. Texans helping to preserve the history and culture of Texas. Weather, local government info, events calendar, business directory. 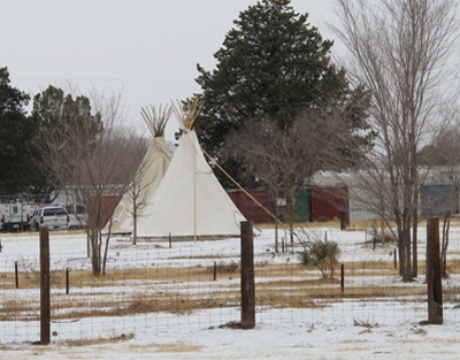 The residents of Marfa maintain this forum. Find the latest menus and specials of town restaurants as well as events, gatherings, and happenings. A non-profit space for contemporary art and culture that lists many of the cultural events happening around town. The closest major airports are located in and . Marfa is about 200 miles from both cities. El Paso is American, Continental, Delta, and Southwest Airlines fly in and out of El Paso. Midland/Odessa is serviced by Southwest Airlines, American Eagle, and Continental Airlines. Driving time from Austin: approximately seven hours. Photographer Charlie Cano is a technologist based in Manhattan. For work, he designs bleeding-edge network and application solutions for the internet. For play, he tinkers with his gadgets, toys, and media. He travels for work, for escape, and for inspiration. Larry runs a boutique interactive agency called . He travels to meet the locals and get some new flair. У нашей организации авторитетный интернет-сайт , он описывает в статьях про https://www.biceps-ua.com. Этот полезный веб сайт со статьями про https://yarema.ua.